The rehabilitation of the Patane Night Watch House, located at no. 52-54 in Rua da Palmeira, was the result of a cooperative effort between the Cultural Affairs Bureau and Patane's Tou Tei Mio Mercy and Charity Association. 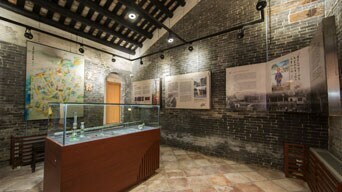 The Night Watch House, officially opened to the public on the 18th of December, 2015, aims not only to reveal the traditional values of mutual assistance, which took place between different neighbourhoods and local communities, but also to safeguard folk traditions and local history. The Patane Night Watch House was part of an ensemble of similar houses, and comprised two single-storey compartments, with gabled roofs, separated by an inner patio. The rear compartment incorporated in its construction an existing large stone, on top of which wooden columns and a brick wall were built. This style of houses, built close to the hillside, embody an architecture that is adapted to the geography of the surrounding area, bringing together the natural and cultural landscapes. The night watch in ancient China served to report time and remind people to take precautions against fire and theft. In the past, there were also night watchmen in Macao. Later, the service evolved into a night watch patrol system, with the characteristics of a civil defence force and with a clear management structure. However, following the modernisation of the city, this social service gradually vanished. The night watchmen’s practice of holding lanterns and striking gongs to report the time for citizens no longer exists, nor do they assume critical roles to help maintain public security or to ensure social order. 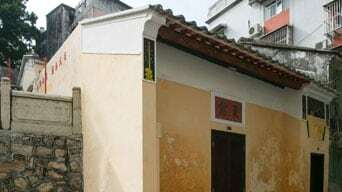 As a witness to the sounds of the night watchmen, the only remaining night watch house is located in Rua da Palmeira, in Patane, and is imprinted with this history. The exhibition covers two themes, namely the various night watch houses existing in Macao and the night watchmen's profession itself. It showcases, through historical photos, the exhibition of objects, the architecture of the night watch house after its renovation, and with an artist’s graphic illustrations, the status, transformation and evolution of this energetic occupation. Opening hours: 10 a.m. to 6 p.m. (No admission after 5:30 p.m.) Closed on Mondays, open on public holidays. Visitor capacity: The exhibition can accommodate a maximum of 15 visitors at any one time.